BeautyScraps: SALE: My Paper Pumpkin is now HALF OFF! Get Your Discount Code! SALE: My Paper Pumpkin is now HALF OFF! Get Your Discount Code! If you have been thinking about trying My Paper Pumpkin, now is the time! New Subscribers can get their first 2 months at 50% OFF the regular price of $19.95! I have been loving this monthly subscription as you may know if you read my blog :) Between My Paper Pumpkin & Project Life I have been loving all of the Stampin' Up! 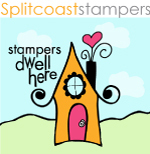 goodies so much that I signed up to be a Stampin' Up! Demonstrator! 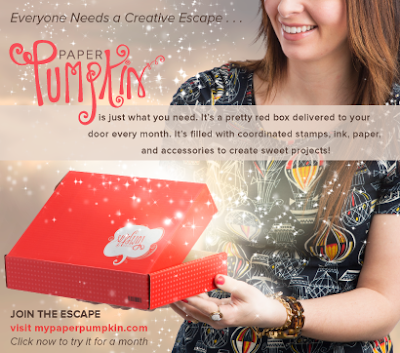 So, if you would like to shop with me and sign up for your very own monthly My Paper Pumpkin Kit, visit my store HERE. 2. Choose "Shop Now" and then "Product Lines"
3. Click on "My Paper Pumpkin" and then "Shop My Paper Pumpkin"
6. You will then be prompted to enter your name/address/payment info and your very own box of Fun & Creativity will be on its way to your door!!! Want to learn more about My Paper Pumpkin? Check out my last 2 blog posts to see what I made using last month's kit! Follow me on Pinterest for lots of My Paper Pumpkin inspiration! Follow My Paper Pumpkin on YouTube! Still have questions? Leave a comment below or feel free to contact me anytime :) Just click "Beauty Scraps" by my photo on the upper right and send me an email! Labels: My Paper Pumpkin, Sales and Promotions, Stampin Up!